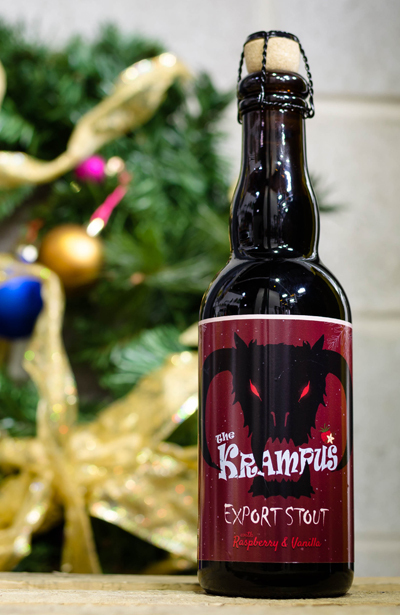 *Only 400 bottles of our Raspberry & Vanilla Stout called Krampus we’re made and were sold out within 40 hours. Krampus is St. Nicholas’ helper, responsible for punishing children on the naughty list, while Santa rewards those on the nice list. Our Krampus is a rich, viscous stout. It was bottled conditioned for an exceptional texture with tart notes of raspberry and smooth vanilla on top of a nice roasty base.